This Riffing on Star Wars contains minor spoilers for the Thrawn Trilogy by Timothy Zahn and the “Old Wounds” one off comic storyline. The rest is entirely speculation. This is it, Rebels fans, the final month of our favorite animated Star Wars show begins tomorrow on March 4th with the season finale airing three weeks later on the 25th. The season which got off to a shaky start has in the equivalent to its back nine brought us one solid episode after another, the latest being “Through Imperial Eyes.” The question then remains, how will it all end? For those who enjoy potentially irrelevant mental exercises, read on! Season Three can be broken down into two major story arcs, the Thrawn story arc and the Maul Story Arc. Slipped in between them is the Mandalorian story arc which has revolved around Sabine Wren’s character, which honestly, has been the best of the three by diving into our favorite Mandalorian’s character and exploring one of the most fascinating cultures in the Star Wars universe. Sabine’s and the Mandlorian story arc may have concluded with “Legacy of Mandalore,” which saw Wren leaving the rebels to help Mandalore find a new leader to resist the will of the Galactic Empire. Depending on the storytelling to come, it seems likely that we may have to wait until Season Four to see Sabine again – but more on that later, as next is the situation with Maul. In the midst of last week’s broadcast, a quick teaser was aired hyping the final three episodes of the season, and the moment which undoubtedly generated the most interest was set beneath the starry skies of Tatooine. The scene we allude to is one showing an Alec Guiness styled Obi-Wan Kenobi facing off with his long time nemesis, Maul. Maul has been a long time favorite since his introduction and the first issue of his mini-series currently being sold by Marvel Comics actually was the number one selling comic in February. 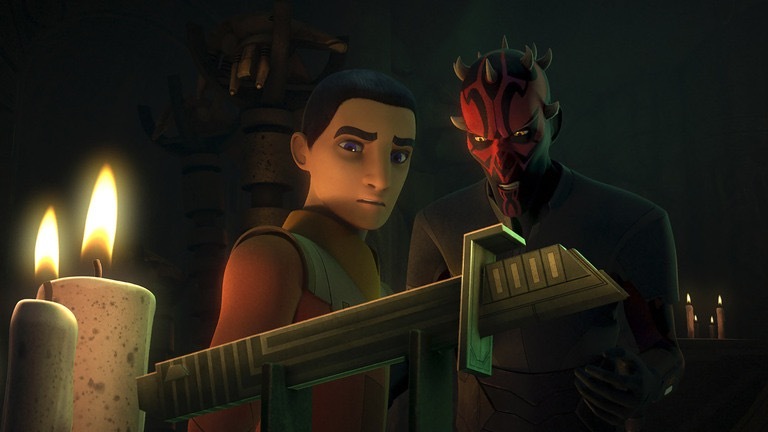 Re-introduced in Rebels after last being seen in The Clone Wars and follow up comic Darth Maul: Son of Dathomir, Maul attempted several times to make Ezra Bridger his apprentice before allegedly giving up on this desire to head off to a planet with twin suns halfway through this season. While Maul definitely believes things are going well enough for himself, as we’ve previously stated, things look pretty terrible for the one time Sith apprentice. The reason for this sour outlook is “Old Wounds,” a one off non-canon story that was published a number of years back that envisioned Maul hunting down Obi-Wan Kenobi to take revenge on the one time Jedi Knight. Maul’s quest then ended in his death and arguably, there’s a good case to be made that the character’s own personal arc in the shows and comics mentioned above which began in The Phantom Menace is coming to a natural conclusion. Maul rose from the dead, sought revenge, but in something like a Shakespearian tragedy, ended up losing his family (Savage Oppress, Mother Talzin) and everything he had achieved out of hubris. In fact, Maul’s personality has been one trapped by a very Sith-like focus on revenge, be it on the Jedi who cut him an half or the Emperor who discarded him like yesterday’s newspaper. It is that same revenge that has ultimately brought nothing but ruination upon him, and now it leads him to Obi-Wan Kenobi. 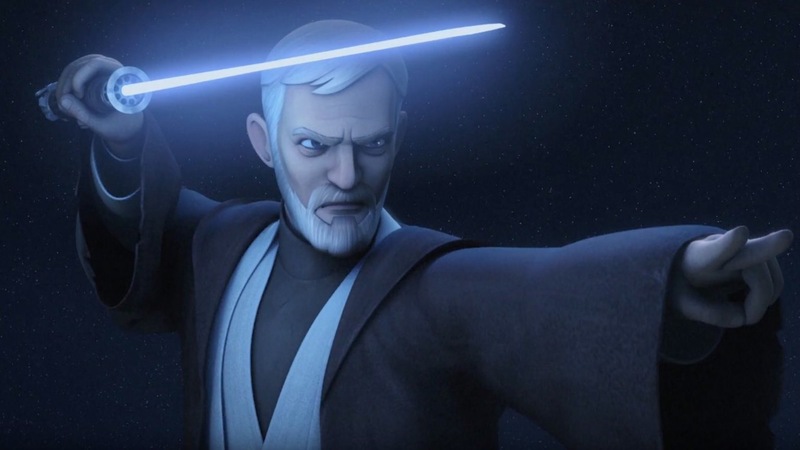 Death is not a certainty, and the use of “Old Wounds,” could be a masterful fake by the writers of Rebels to surprise us with a different fate for Maul, but it seems appropriate to allow this character of the prequel trilogy era to fade away with the beginning of a new era. One thing to look out for, Maul didn’t die at Kenobi’s blade in “Old Wounds,” and it’s still our best guess that it won’t happen here, either, but potentially at the hand of Ezra coming to Kenobi’s rescue. 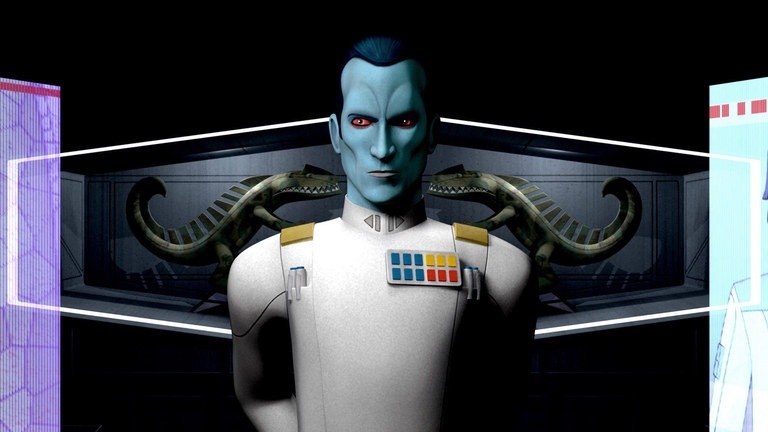 This leaves Rebels with only one other major villain, Grand Admiral Thrawn. Thrawn was also resurrected from death, but a death that happened in an expanded universe that was dropped in favor of a new iteration. In Thrawn’s initial debut, the now aptly named Thrawn Trilogy, the blue-skinned admiral was killed by his own alien bodyguard at the moment of what would have been a major victory over a fledgling New Republic. Will Thrawn die at the conclusion of this story in Season Three? It depends and it might drag in one other major character in an Imperial uniform, Agent Kallus. Thrawn was betrayed by those close to him and killed at the height of victory, however, the “those” in this sentence refers to the alien race the Noghri. In Timothy Zahn’s original story, the Noghri had served the Empire out of a matter of honor and after Leia Organa succeeded in severing that allegiance did they turn on Thrawn. 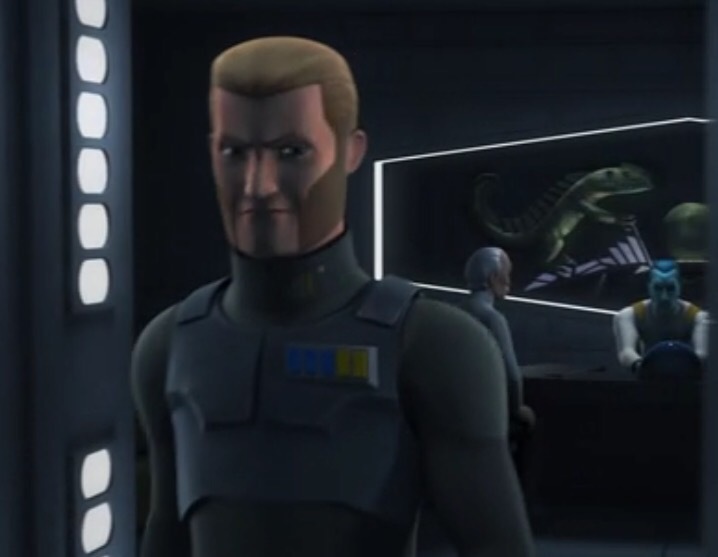 The Noghri, so far as we’ve seen, do not exist in the current Star Wars universe, but there remains one person who’s intense loyalty to the Empire has been compromised, Agent Kallus. “Through Imperial Eyes” established that Thrawn had figured out Kallus’ game, but had opted to leave Kallus in place for the purpose of using him to further his own goal of defeating the rebels. Now there’s another important fact to keep in mind, the Rebel Alliance has never won a major battle against the Empire. In the opening crawl of A New Hope, the Battle of Scarif as seen in Rogue One is noted as the rebels’ first major victory against the Empire. Across Season Three, we have seen the rebel fleet grow and its resources expand, in part through the actions of our beloved Phoenix Squadron. At the same time, Thrawn has quietly been preparing a trap for the rebels, repeatedly holding back his forces for the sake of waiting for the chance to wipe out the entire rebel fleet. Tie these things together, along with knowledge of how Last Command, the final volume of the Thrawn Trilogy, concluded, and we may know exactly how Season Three will end for the rebels, for Thrawn, and for Kallus. In sum, the finale will have a space battle between Thrawn’s Imperial forces, the rebels, and Thrawn will be will on his way to wiping the rebels out when Kallus takes him down. Don’t expect either Thrawn or Kallus to survive, but enough of the rebels will to go on to become part of that force that gathers at Yavin IV in another couple years. For bonus points, some Mandalorians might show up for the battle, only to be decimated by Thrawn before he meets his Kallus induced end. Alternatively, Thrawn wipes out most of the rebel fleet and is promptly sent on his way to explore the unknown regions setting him up to follow the same path that he places him at the beginning of Zahn’s Heir to the Empire. The likelihood of this path of events relies entirely on the powers that be at Lucasfilm deciding whether Thrawn’s character in the new expanded universe was suitable served by his presence in Season Three of Rebels or not. In short, is Thrawn’s story really over? Either way, Thrawn will be removed from the gaming board, so to speak, be it death or ordered exile. Along with him will probably go Kallus, who will be given an opportunity to make a noble sacrifice. Though, with the setup in “Through Imperial Eyes,” of Thrawn’s excellent hand to hand fighting skills, Kallus may fall at Thrawn’s hands directly. Beyond the conclusion of Maul’s and Thrawn’s storylines, it’s hard to predict what’s next for our heroes. Some of that future has been dictated. We know that in two years time that Hera will become a general and the Ghost will fly in the Battle of Scariff. We also know that our favorite psychotic astromech Chopper will survive to that point. If Ezra and Kanan survive to that point, it will be in a way in which they are no longer considered Jedi, at least by Yoda’s definition in Return of the Jedi. And despite the weird persistent rumor that Rebels will be canceled, Disney would have had to already started production on a replacement show, which there would be, to be prepared to have the pre-A New Hope adventures come to an end. If that was happening, we would know much more about it by now. 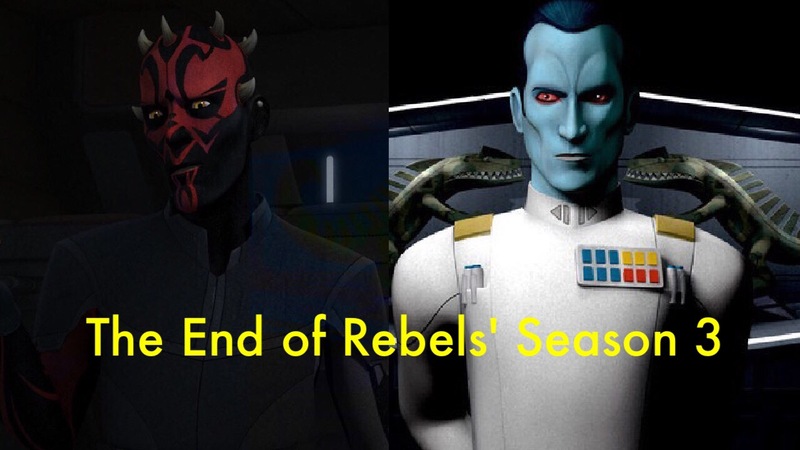 More likely than not, we get two more seasons with Rebels concluding with a post-Battle of Scariff finale. Until then, let’s just sit back and enjoy the ride. Riffing on Star Wars: #20 – Rebels Season Three, Etc.